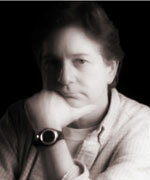 Marc Miller has enjoyed winning numerous awards for his work as cinematographer and editor during his 38-year career. After attending Columbia College in Chicago during the early ’70s he held staff positions in Chicago and New York. Since returning from New York in 1975, Marc had free-lanced from Chicago. He now lives and works from Los Angeles, CA.